"We take leading estimates of illicit flows, and consider the mortality implications if the lost capital were instead retained within official GDP, using previous studies that establish the relationship between GDP and mortality. 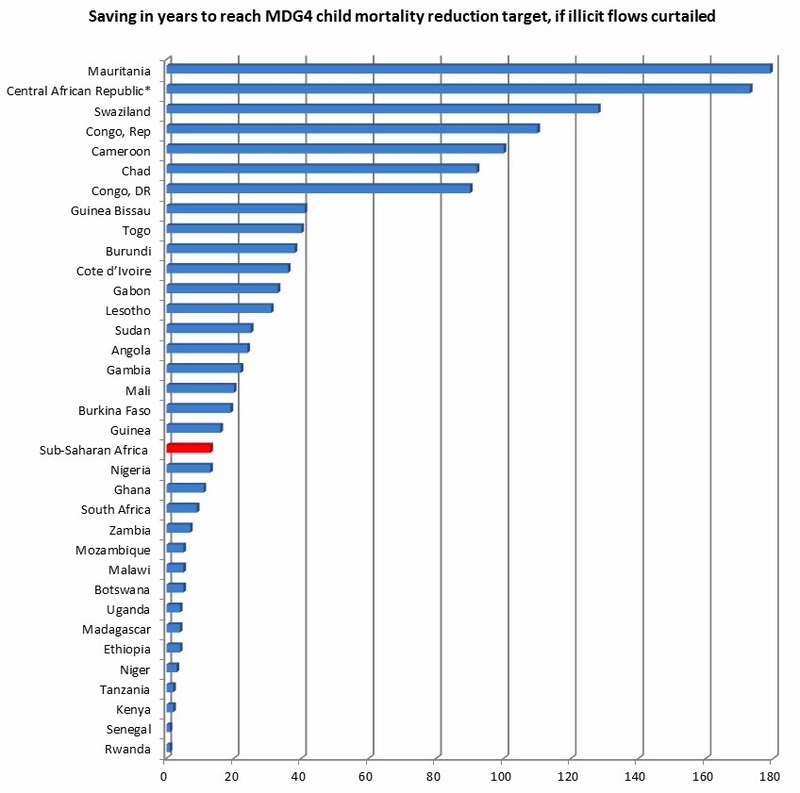 The figure shows how much quicker countries would achieve the child mortality reduction target from the Millennium Development Goals, were illicit flows to be curtailed. 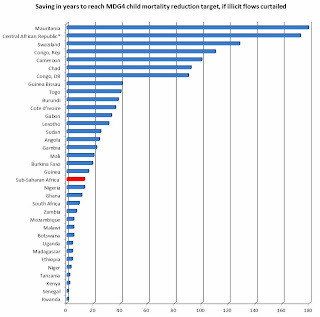 For sub-Saharan Africa as a whole, the target could be reached by 2016 – rather than 2029 on current trends." And the results, as the graph shows, are admittedly imprecise - but horrifying in their implications. Now read on. Update 2014: for further resources on inequality and democracy see here.